Say you're out and about when suddenly you get the urge to write a strongly-worded email. You get the words down, but still feel like you could really hammer home the message with the right point of emphasis. Or maybe you just want to make absolutely sure that your recipient catches a certain detail. 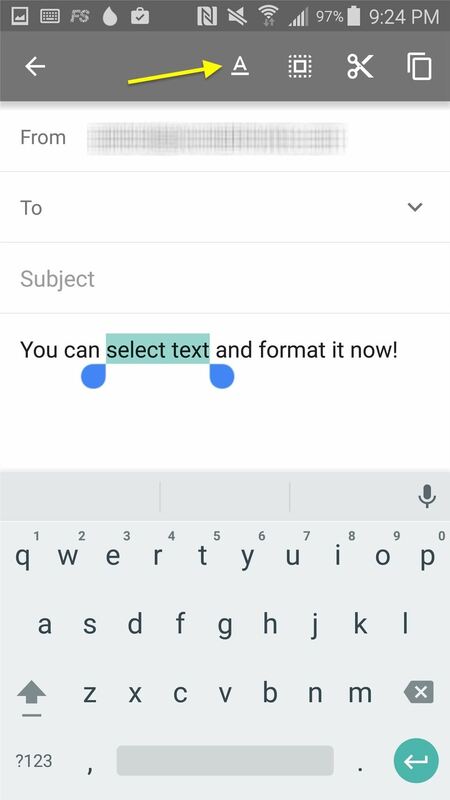 If you were on the mobile app, ALL CAPS was pretty much your only option other than crossing your fingers really hard. Well, Google updated their Gmail app for Android a few months ago, and it has a bunch of new tools at your disposal that were heretofore only available on the desktop version. 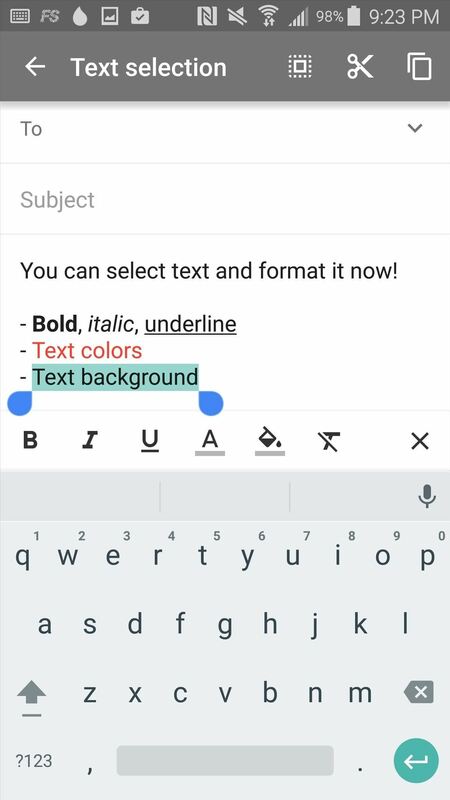 You can now italicize, underline, and bold text, as well as change the color of the text and background. Just highlight the text you want to change, then hit the underlined A icon up top to bring up the formatting options. The tools should stay open until you close them out. The update also makes responding to calendar invitations a lot easier. 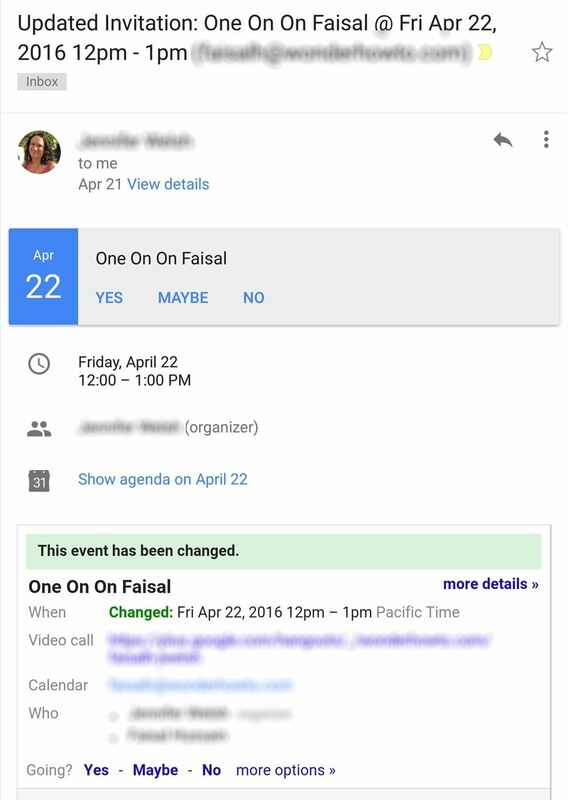 Google Calendar and Microsoft Exchange users will now get to see that day's schedule pop up beneath the invitation, so you won't need to navigate to a different app to confirm whether or not you'll be free at that time. Follow Android Hacks over on Facebook and Twitter, or Gadget Hacks over on Facebook, Google+, and Twitter, for more Android news.